Beat Stress- The Natural Way. Ayurveda believes in Healthy Daily Routine , Yoga, Meditation, Natural Healthy Food and supplements to combat this illness. Keeping awareness about our conduct is the key to control ourselves. Avoid Junk Food, Night Awakening, Day Sleeping, Loud music, Over indulgence on computer. means: good sleep induces happiness in the mind, relaxation in the body and rejuvenation in its every component; it also enhances mental talents and intellect. It helps eliminate the defects and weakness and ensures harmonious balancing between healthy functions of the body; sound sleep also offers the joy that one would experience by certain kinds of yoga exercises. 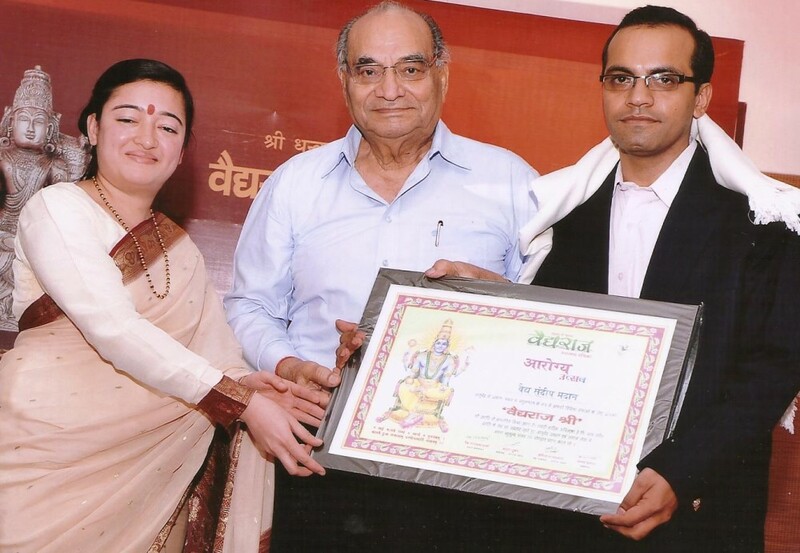 Aastha Ayurveda – New branch at North Delhi. We are happy to announce that we have prescribed Ayurvedic remedies for Acidity, Ulcer, Sinus, Tonsillitis, Infertility, Sexual disorders, Piles, Migraine, Liver disorder, White patches and we are successful in managing many other complicated diseases at our Ayurvedic clinic in Delhi. Since inception, we are empowered with the highly knowledgeable Vaidya in Delhi, Dr. Sandeep Madaan, M.D. It is the most trusted Ayurveda Clinic that prescribes the most effective and safe herbal remedies to it’s huge listing of patients. They have got cured by consulting with our Vaidya in Delhi. The main goal of our Herbal clinic is to manage our patients problems by providing them safe, effective & affordable treatment with the help of experienced Ayurveda experts. Our profound knowledge of Ayurveda has made our reckoned position and has also positioned us as reliable & successful natural herbal treatment centre, treating large number of patients from India & abroad. Dr. Sandeep Madaan, M.D.Ayurveda, a reputed Ayurvedic doctor in Delhi, is providing the best herbal treatment at this clinic. Through this Ayurveda expert in Delhi, we have been able to establish our brand internationally. You can rely on our immense expertise, experience and innovative methodologies to manage even complicated diseases. We have cured so many patients under the guidance of our Vaidya in Delhi who have immense expertise and in-depth knowledge of managing different diseases. Ayurvedic treatment have their own unique qualities and does not leave any side effects. We use all kind of natural Herbs, effective for all diseases and then these are used to cure patients.